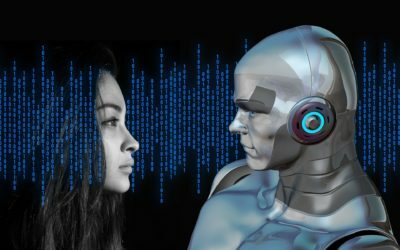 Artificial intelligence is making inroads in the legal profession. A recent experiment sheds light on the changes technology has in store for the legal profession. In this case, artificial intelligence bested lawyers in one aspect of legal work. Human lawyers were 85 percent accurate, while the machines were 95 percent accurate. The technology was also way faster, taking 26 seconds to complete their task, while humans took 92 minutes. All that isn’t actually bad news for humans. “Having the AI do a first review of an NDA, much like having a paralegal issue spot, would free up valuable time for lawyers to focus on client counseling and other higher-value work,” said Erika Buell, clinical professor at Duke University School of Law. In fact, attorneys are already using AI in the real world to enhance their work, according to Small Firm Central. If you envision some kind of futuristic world with robots running the show, you’re thinking way too far into the future. Artificial intelligence (AI) is already here. In our everyday lives – and in our professional lives. It’s prevalent in the workflows of legal professionals everywhere, not only helping automate common tasks to make our jobs easier and more efficient, but also helping us practice law more confidently, allowing us to provide better service to our clients. Here are five ways AI is being used in the legal industry today.